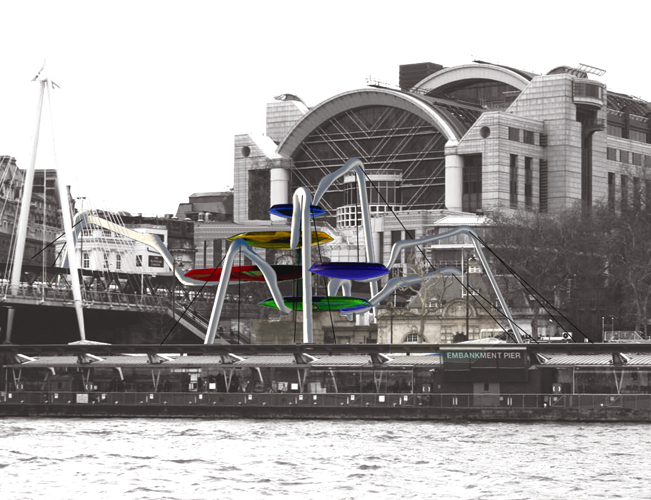 Our entry in the 2010 Forgotten Spaces Competition to regenerate an underused part of London, was for a Sky Dock above Embankment Station. 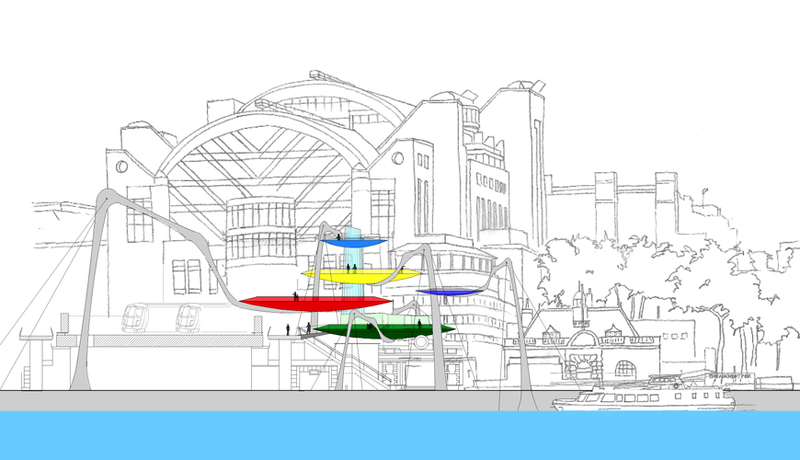 The Sky Dock comprises of four cantilevered platforms on land and one satellite platform in the river, which house the following: A café, an external performance space, an exhibition space, an observation deck and a platform in the river to provide a wildlife refuge.The platforms are linked by a glazed lift and stair tower and supported by Athropod inspired legs. 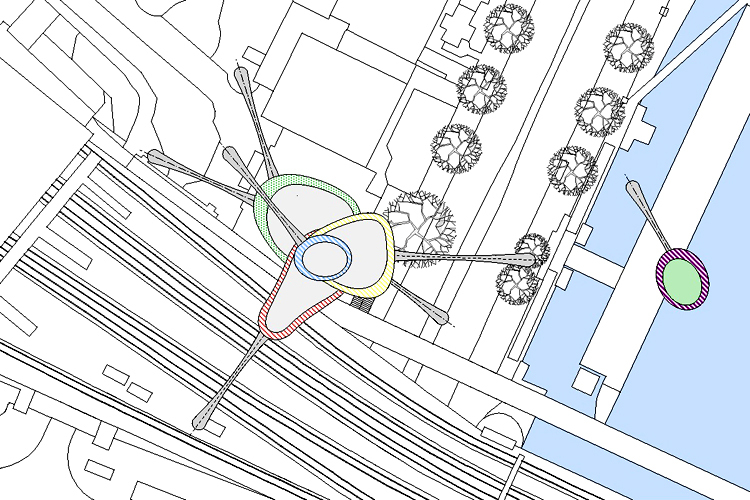 The aim of the design was to provide a structure that could support the platforms but did not interfere with the maze of underground train lines and tunnels beneath Embankment Station. 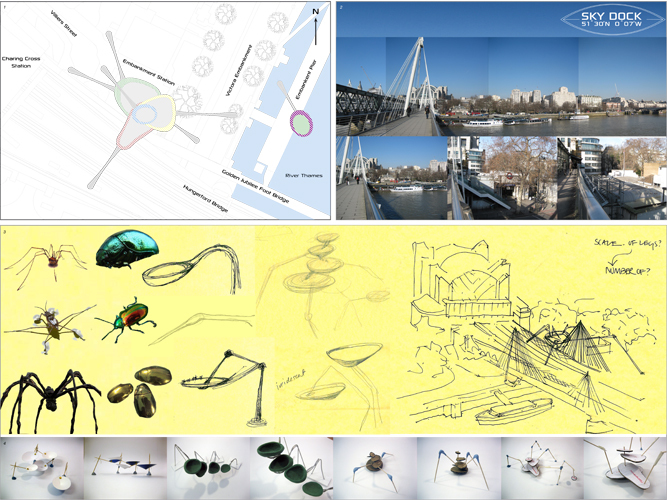 We found inspiration in spiders and water boatmen, creatures that carry their load delicately on multi jointed legs.The platforms provide a new focus for the North Bank of the Thames and a wonderful facility to have a stopping off point on journeys across the capital to rest and enjoy the view.